I found this picutre, which made me ROFL. I'm addicted to anime but i dont look like this. Funny, I'm addicted to anime and I do look like that. Except the guy in the picture is significantly more good looking. I look nothing like that but I do have 2 pouches one for a yugioh deck and one for a psp I just wear them to anime meets. I approve of otaku-prejudice. The only error in the picture is the abundance of light and the white background. Otakii don't venture out of their parents' gloomy and perpetually dark basements. Last edited by Eris; 03-04-2009 at 12:19 PM. I'm not an otaku, I don't get obsessed of animes and games to the point that I don't go out and mess myself up. I do read mangas but only when I go to Barness & Noble when I'm bored at home, and read a little to entertain myself, that's it. Last edited by -akichan-; 03-04-2009 at 12:25 PM. It depends on your keychain. I twisted it a bit in the GIMP, and it looks like it could be wario, but the colors are a bit off. Oh, and am I CSI or what?! can i say the oppisite of no? I have not met anyone that looks like that and I've met tons of otaku's.. Even I'm an otaku and I still wear pink hollister jacket and colorful clothes and jewlry/make up. o.O Actually the post can be considered stereotyping? This guy claims to be otaku. 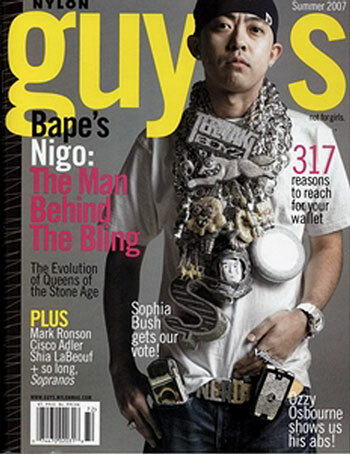 Nigo, the founder of A Bathing Ape. Last edited by kamaaina ^_^; 03-04-2009 at 02:49 PM. My brain should look like that. My brain is Otaku, I don't look like what and wouldn't dream of wearing that. I have tried anime hairstyle before though. i do love anime alot but im not overly in love with so im not im otaku or not but i do know my appearance isnt when i meet other people who are into anime they dont think im as into as they are if at all because of how i dress, look, and act. but i have seen alot of people who look like that they go to my school they even have days where they dress up as their favorite character. i dont think anything is wrong with it at all, but thats just not something i would do at a convention yeah but at school no. I know a guy that looks like that. LOL And he is otaku by far. He even paid 50 dollars to have his picture taken with some idol from japan. I don't look anything like that picture. 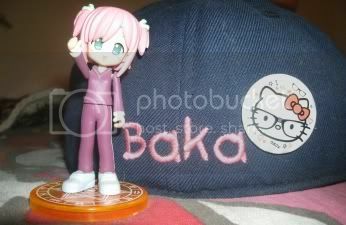 I also don't think I am otaku. Well, in a couple of ways I am, but not over-all. I like anime, but I'm not a freak over it. I don't look like an Otaku NOR do I act like one. Seems reasonable, given the fact you are hanging out around a carousel and dressed like a sexual offender. I am somewhat of a nerd/dork/geek, but I don't think i'd be 'otaku'. I like sailormoon and i've watched a bunch of anime in the past (and do have a remarkably large sailormoon collection at home) .. but I think in order to qualify as otaku, i'd need to be super obsessed with japan and everything japanese. I had that phase ... even the japanese I know and studied (for about 5 years) isn't really good enough to make a readable sentence. I can understand bits and pieces and read small parts .. but after that .. it just became boring, so I stopped, lol. Well, I do wear glasses when i'm not wearing contacts. Last edited by Miss Digital Moonlight; 03-04-2009 at 08:29 PM. Do you think that is something you should tell someone? Do you think that is even nice to say? They may have opened themselves up to being judged, but that doesn't mean you should say something like that. You must be new here. The internets are a cruel place. 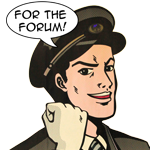 Then I must insist that you remove the rules of this forum to: Play nice, make sure you consider everyone's feelings, no flaming or baiting to. The internet is a cruel place and I say whatever you want. Edit: I understand the rules of the internet. I have been here for a long time. I just think as a moderator he should show some more following to the rules. You don't the other kind of people and they may take that as it's okay to flame that member. It's called enabling. I think your new to society and don't the know the word mutual respect. Last edited by Princely Dreaming Doll; 03-04-2009 at 06:24 PM. Protip: It's not flamebaiting if he doesn't fight back. I don't use "kawaii" or do dances at the Japanese Concentration Camps known as "Cons", but I do go above the norm in anime and manga. Hmm..I wouldn't say those words I underlined in your post unless I've seen what that person does in life. I somehow find that comment very offensive. And no, I'm not new to the society. If another member said something like that, bunch of flaming would line up to explode to that person. 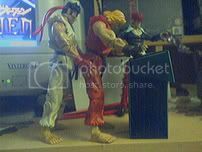 What is your opinion on "Otaku"?